Daniel Panjwaneey (born 1986, Karachi, Pakistan) is primarily known for his work as bassist/vocalist with psychedelic/shoegaze band //orangenoise, along with over 16 years of diverse musical experience on the Karachi metal (Messiah) & indie circuit ( //orangenoise, the D/A method, Alien Panda Jury). Daniel takes inspiration from his ever-evolving musical experiences imbuing sounds with texture, vocals, and emphasizing resonant sounds throughout his work. 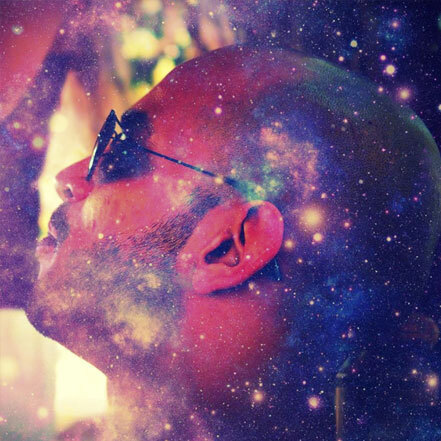 As Alien Panda Jury, he has released 2 EPs and numerous singles, including releases with the Forever South collective. He is also active with his band //orangenoise. In 2016 he broke into the international music scene when he toured Germany with a brand new cross-cultural collaboration, The Karachi Files, followed by a mini-tour in Nepal as Alien Panda Jury. As a media specialist, Daniel has also worked with some of Pakistan’s biggest film and TV productions (Coke Studio, The Vision Factory Films, Lussun TV) in various capacities as an Audio Engineer, Musical Consultant, Assistant Director, Producer & Videographer. He is also the Founder & Chef at Comfortably Yum – a pop-up eatery, which for the moment can only be spotted during festival season in Karachi.